Thanks to everyone who supported this petition. Oct 16, 2017 — Thank you so much to everyone who signed the petition. Sadly the verdict was today approved by the state solicitor. It is a tragic fact that this animal abuser will not serve a day in prison, he will not be fined and he will be allowed to keep dogs again in 5 years. In the meantime he can have other animals. We are so sorry we couldn’t achieve some kind of justice for the 8 poor puppies who were abused, 7 of them to their death. 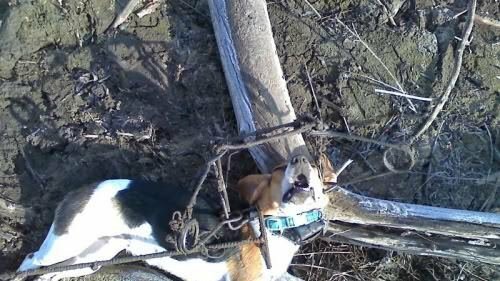 All we can do now is to use this disgraceful case for what it is worth and work for better legal protection for animals. We hope the world will be aware of how Norway betrays animals and protect their abusers more than the victims. We apologize for mistakenly including Wyoming in the category of federally protected in our announcement on Tuesday. In our enthusiasm to get the word out, we made this serious error. Unfortunately, the wolf of Wyoming is under state “management” and Wyoming’s plan includes a ridiculously low number of wolves. Thank you again for all of your support as we have journeyed this quest to save a species. By the way, yesterday, Maureen Hackett was interviewed on 1500ESPN’s The Great Outdoors with Dennis Anderson. We think you may enjoy listening to her debate on behalf of the wolf. Copyright © 2017 Howling For Wolves, All rights reserved. “A misleading online petition, with a photo falsely tied to Windex, has prompted consumer questions about whether we test Windex on dogs. SC Johnson has never tested Windex on dogs. Three Windex products have been tested on animals, as required by the government, in the last 20 years. SC Johnson is a family company dedicated to innovative, high-quality products, excellence in the workplace and a long-term commitment to the environment and the communities in which it operates. Based in the USA, the company is one of the world’s leading manufacturers of household cleaning products and products for home storage, air care, pest control and shoe care, as well as professional products. It markets such well-known brands as GLADE®, KIWI®, OFF!®, PLEDGE®, RAID®, SCRUBBING BUBBLES®, SHOUT®, WINDEX® and ZIPLOC® in the U.S. and beyond, with brands marketed outside the U.S. including AUTAN®, TANA®, BAMA®, BAYGON®, BRISE®, KABIKILLER®, KLEAR®, MR MUSCLE® and RIDSECT®. The 130-year-old company, which generates $10 billion in sales, employs approximately 13,000 people globally and sells products in virtually every country around the world. Out of an abundance of caution, General Mills announced the voluntary recall of more than 10 million pounds of flour because it may be linked to the outbreak. General Mills on Monday announced another expansion of its flour recall. The move was prompted by an announcement from the U. S. Centers for Disease Control and Prevention that four more individuals from two different states (Minnesota and Wisconsin) have developed E. coli illness linked to the flour. One of those individuals is suffering from a type of kidney failure called hemolytic uremic syndrome. This results from E. coli illnesses that last longer and are more severe, according to the CDC. There are now 46 cases of E. coli infection linked to this outbreak, which began in December. The most recent illness reported began on June 25. Symptoms can include stomach cramps, diarrhea, vomiting and fever that can last five to seven days. Individuals who are very old or very young and those with compromised immune systems have an increased risk of becoming ill. The youngest patient in this outbreak is just 1 year old and the oldest is 95. Most of those who have become ill, 80%, are female. Gold Medal, Wondra and Signature Kitchens flour are included in the updated recall announcement. “The expansion announced today includes select production dates through February 10, 2016,” according to the company. Previously, the recall was for products produced between November 4, 2015, and December 4, 2015. The specific items recalled, including some previously identified Betty Crocker cake mixes, are listed on the General Mills website. None of the recalled flour should be used, sold or consumed. General Mills initially announced a recall of 10 million pounds of flour in June, which it said at the time was “out of an abundance of caution” because it was possibly linked to the outbreak. Earlier this month, the company expanded that recall. It says consumers should not eat uncooked dough or batter made with raw flour. STOP All PHONE CALLS AND EMAILS!!! Jul 14, 2016 — Right now I would like to have EVERYONE please HOLD OFF on sending out emails to the IDNR and Wayne Rosenthal and Tim Daiber. We are in the process of working out some stuff and I don’t want to tick anyone off. I will keep you posted and let you know if we need to start flooding the emails and calls. I’m praying that what we’ve all been doing is working. So please just hold off on the calls and emails to them. Please keep sharing and signing the petition cause they still get this. I want to thank everyone for your support and prayers cause without you all I couldn’t have done this alone. I’m hoping my fight is almost over for them but I’ll know soon. I’ll keep you posted. Love Dude and Jude and the whole Crawford family. Petition Update: SAVE MARLEY AND END B.S.L!!!! SAVE MARLEY AND END B.S.L!!!! On the 18th December 2015, our beautiful girl Marley was seized by police because of her breed. She was wrongfully ripped from our family home and taken to a kennel in which we are not allowed to visit. Marley is a friendly dog and has never shown any sort of aggression. Please ask DEFRA the ineffective legislation that led to Marley being seized, and please ask Derby law court to ask with responsibility and compassion when deciding the future of this beloved, gentle family pet. Marley is a family dog and we have had her since she was 7 weeks old! She adores my 3 year old daughter and we are lost without her. The police have said that because I have a young child we probably won’t get her back because of her breed, whereas the sergeant in charge has said different, so we aren’t even clear what will happen. Breed Specific Legislation (BSL) was rushed through as part of the 1991 Dangerous Dogs Act. It was a simplistic response to the public mood at the time, and it legislates against certain dog types rather than tackling effective dog rearing and ownership or considering the temperament of individual animals. Evaluations have found it to be ineffective in the Netherlands, Denmark and Spain. Jun 27, 2016 — Thanks to you and the nearly 182,000 others who signed this petition, today, Perdue Foods, one of the nation’s largest poultry producers, is announcing a precedent-setting commitment to improving animal welfare. While there is still work to be done, Perdue’s commitment is the most comprehensive animal welfare policy ever adopted by a major chicken producer. Of the more than 8 billion chickens killed for meat annually in the U.S., Perdue’s policy will reduce the suffering of nearly 680 million birds on 2,200 farms. Citing the “five freedoms,” a set of ethical imperatives for farmed animal welfare, the policy outlines the company’s efforts to implement on-farm improvements, such as environmental enrichment and natural light; curb malicious abuse; and eliminate cruel live-shackle slaughter. Perdue also addresses the unnaturally rapid growth rates of chickens, which cause incredible suffering to birds—crippling them under their own weight, rendering them immobile, leaving them in constant pain, and causing many to die of organ failure. Additionally, the policy mandates annual third-party audits and increased video surveillance—including of transport areas—to deter instances of illegal animal abuse. Most notable is the policy’s commitment to replacing live-shackle slaughter methods with less cruel Controlled Atmosphere Stunning, a move that will spare millions of birds from the horrific suffering caused by dumping, shackling, shocking, and slitting the throats of conscious animals. This change is even more meaningful given that chickens, who comprise 95 percent of land animals raised and killed for food in the U.S., are excluded from the Humane Methods of Slaughter Act. With this announcement, it’s never been clearer that the days are numbered for many of the poultry industry’s cruelest practices. Perdue’s policy represents important progress and we look forward to seeing the company establish deadlines for the implementation of these crucial changes. Perdue’s policy will also hopefully inspire other companies to adopt similar meaningful animal welfare requirements. It’s now time for Tyson, Foster Farms, and other poultry producers to stop dragging their feet and reduce the needless pain and suffering animals endure on factory farms and in slaughterhouses. • Sign our petition demanding that Tyson stop tormenting chickens: https://www.change.org/p/tyson-foods-stop-animal-abuse-at-world-s-largest-chicken-producer. • Sign our petition calling on Foster Farms to stop abusing birds: https://www.change.org/p/tell-american-humane-association-to-stop-certifying-factory-farm-cruelty. This petition made change with 181,713 supporters! Update: No charges will be filed against the mother of the 3-year-old boy who fell into a gorilla exhibit at the Cincinnati Zoo, the Hamilton County prosecutor’s office in Ohio said Monday. After the boy slipped into the enclosure May 28, he had a 10-minute encounter with Harambe, a 450-pound gorilla. Harambe pulled the boy across a moat and was fatally shot by zoo personnel. A witness told CNN the boy’s mother was temporarily distracted by other children when the boy fell into the exhibit. Will the drama surrounding Harambe’s death come to an end, or is this just the beginning? On Monday, the Hamilton County prosecutor will announce whether the parents of a 3-year-old boy, who fell in the gorilla enclosure May 28 at the Cincinnati Zoo, will face charges. Zoo officials shot and killed a rare silverback gorilla named Harambe after the child entered the enclosure, fearing for the boy’s safety. A news conference is scheduled for 1 p.m. ET Monday, a week after the boy’s family became the focus of an investigation. Video footage shows Harambe standing next to the child and dragging him through the water. 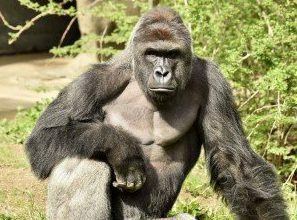 The zoo has staunchly defended its decision to shoot Harambe as necessary to protect the child. The boy was not seriously injured, but much of the scrutiny in the aftermath of the incident has fallen on his family. Authorities conducted a home visit over the weekend with the boy and his mother, said Hamilton County Prosecutor Joseph Deters. Authorities have said the boy’s mother was with the child when he slipped past a fence and into the zoo’s Gorilla World exhibit on Memorial Day weekend. One witness said she overheard the boy telling his mother he was going to get into the moat. “The little boy himself had already been talking about wanting to go in, go in, get in the water and his mother is like, ‘No you’re not, no you’re not,’ ” said Kimberley Ann Perkins O’Connor. The mother admonished her son to behave before becoming distracted by other children with her, O’Connor said. “Her attention was drawn away for seconds, maybe a minute, and then he was up and in before you knew it, she said. For days, the Internet was barraged with think pieces on the incident — some condemning the boy’s parents. They became the center of criticism as calls for criminal charges mounted. An online petition seeking “Justice for Harambe” received more than 500,000 signatures. Last week, the Cincinnati police said they were reviewing the incident with a focus on the actions of the boy’s family. A police spokeswoman told CNN that officers would determine if charges needed to be brought, which would then be discussed with the prosecutor’s office. The parents cooperated with police and were evaluating whether they would seek legal representation, family spokeswoman Gail Myers said in a statement last week. They asked that gifts be directed to the Cincinnati Zoo “in Harambe’s name” in a statement through Myers. The Cincinnati Zoo’s Gorilla World exhibit is scheduled to reopen to the public Tuesday. The zoo said it has raised the public barrier to 42 inches, added solid wood beams to the top and knotted rope netting to the bottom. “Our exhibit goes above and beyond standard safety requirements, but in light of what happened, we have modified the outer public barrier to make entry even more difficult,” said Thane Maynard, director of the Cincinnati Zoo, in a statement. Both the U.S. Department of Agriculture and the Association of Zoos and Aquariums have launched investigations into the Harambe episode. The USDA, which inspects the zoo annually, will look into whether the facility was in compliance with a federal law that monitors the treatment of animals in research and exhibition. The Association of Zoos and Aquariums is the group that accredits zoos. 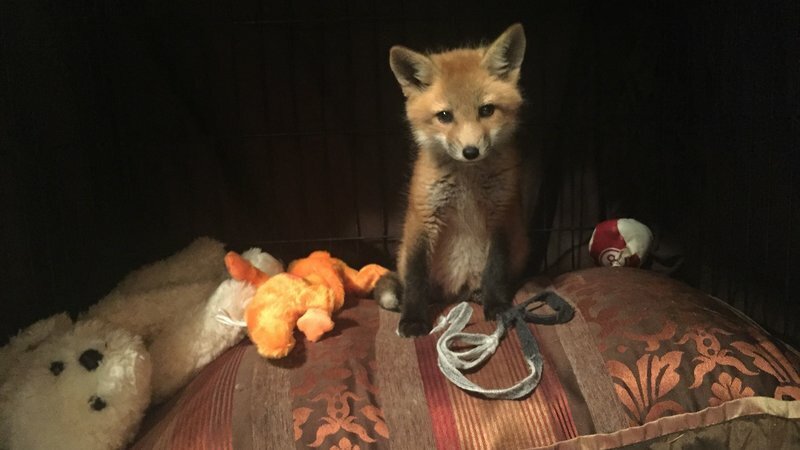 “In the case of this incident, which involved a child and a critically endangered animal, our collective goal is to take steps to assure it doesn’t happen again,” Kris Vehrs, the interim president and CEO of the zoo association, said in a statement. ALDI Australia: chickens are mutilated and neglected in these cruel factory farms – please stop selling cage eggs now! May 25, 2016 — Are you ready for this? I’ve just heard that Aldi Australia have promised they’ll stop selling eggs laid by hens who suffer for their whole lives in awful battery cages. Way to go Aldi OZ! This means they’ve finally caught up with their stores in the US and Germany that have already committed to stop selling cruel cage eggs. Massive congratulations to everyone! When I started this petition, I really had no idea where it would end. I just had hope. But as more and more people joined the movement – and then when Animals Australia kicked in behind it – I got way more confident that, together, we really could change the world in a big way for hens. This whole movement started out with just my name on this petition – then suddenly it grew and we were making news headlines, people were staging protests outside of Aldi stores, flooding their Facebook page with pleas for kindness, and who can forget Animals Australia’s amazing posters popping up in Aldi carparks! I mean WOW! I know sometimes people sign online petitions and think “that’s that” – but we’ve proved otherwise. 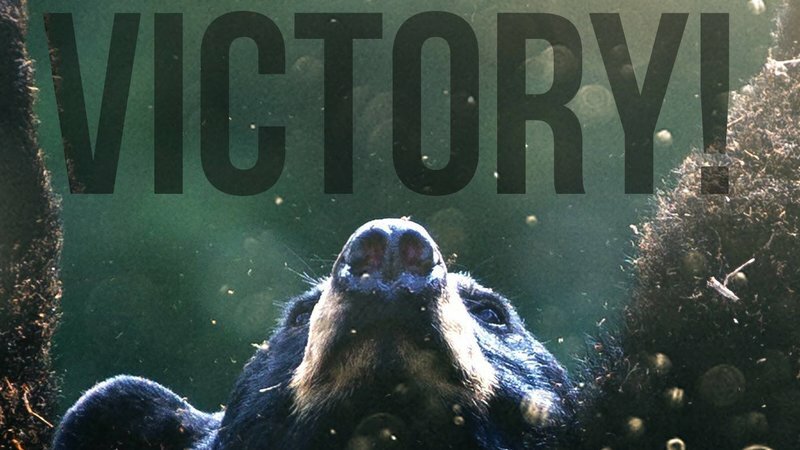 This incredible win shows that if we stay strong, get creative, be consistent, never give up and, most importantly, keep on being kind, there’s no end to what we can achieve for animals. This petition made change with 97,088 supporters! PrivacyPoliciesCertified B Corporation©2016, Change.org, Inc. Please help the bears in Zoo in Kaliningrad to go to a sanctuary! We have news and we close the petition! May 4, 2016 — A good friend and animal rights activist Caterina Moynihan has written to Bigheartfoundation and she shared the response with me. I want to share the news with you and I will close the petition. First of all, thank you very much for your active support and concern regarding the animal welfare in Russia. Now the bear is not alone, they have several animals of the same species together. They keep a good contact and therefore remain psychologically healthy. The have a well-balanced diet and visitors do not feed them anymore. Bears constantly receive cage enrichments, I.e. Substrates, tree branches and other natural “toys” to play with and remain in a healthy physical state. In their captivity they have shelters where they can go dormant during winter or hide when weather is harsh. In summer term, they get a swimming pool to chill out and again do some physical activity. The zoo staff has been working on improving their knowledge about keeping wild animals. Also, the zoo was visited by foreign animal specialists. Most importantly, the captivity looks nothing like on that picture. It is indeed rather old, but not as unacceptable as it looks in that photo. At the moment they are raising more money to build the new captivity for the bears. We are keeping an eye on this case and also Bigheartsfoundation and Bornfree. This petition made change with 21,308 supporters! via Killer of Cecil the Lion’s Brother Jericho Deserves Maximum Punishment (Updated). This post is by way of an update on the position regarding the charity anthology to raise money for The Guide Dogs For The Blind Association. I have now received all contributions together with an excellent book cover (for which many thanks) and I am working with the editor to pull together the final version prior to publishing it online, (the anthology will be free to download with a link on the website and within the book to a “Just Giving” page in favour of GDBA. 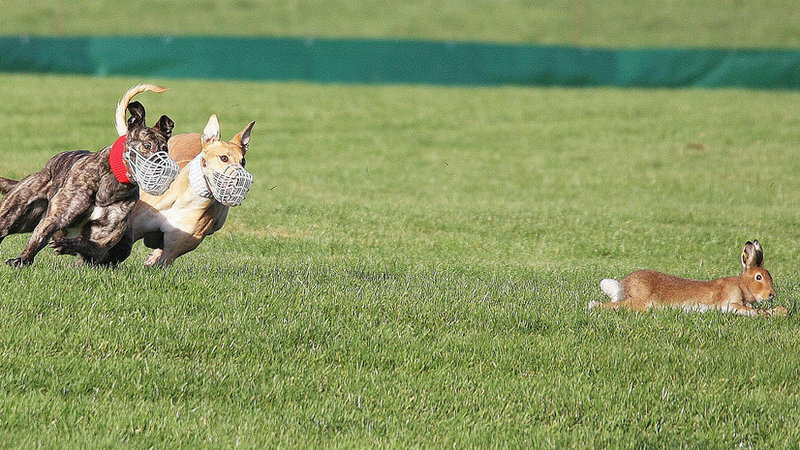 New Petition Has Been Launched By The Irish Council Requesting Ireland’s Sinn Fein Party To Block An Outright Ban On Cruel Hare Coursing…. BREAKING NEWS – VIETNAM – Disgusting !! – All Rescued Cats Have Now Probably Been Buried Alive – Link To Further News. ** Breaking News ** 5/2/15 ** Breaking News ** – Vietnam. All the cats from the recent rescue have now been killed – probably buried alive.